Roman Shades create a welcoming space. From the classic look of the flat-fold style to the elegant appeal of the hobbled style. 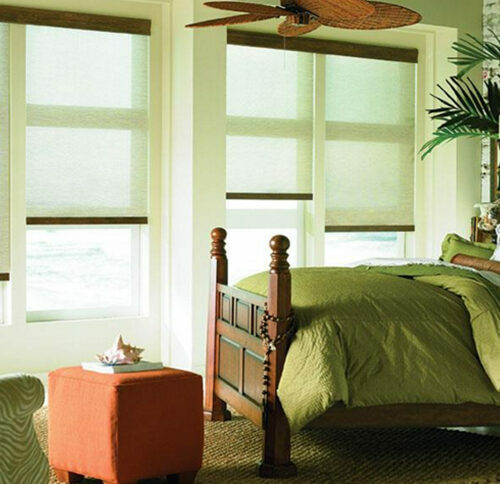 They combine the beauty of fabric shades with the easy operation of a blind. Choose from a vast array of fabrics and colors ranging from light filtering to room darkening designs. 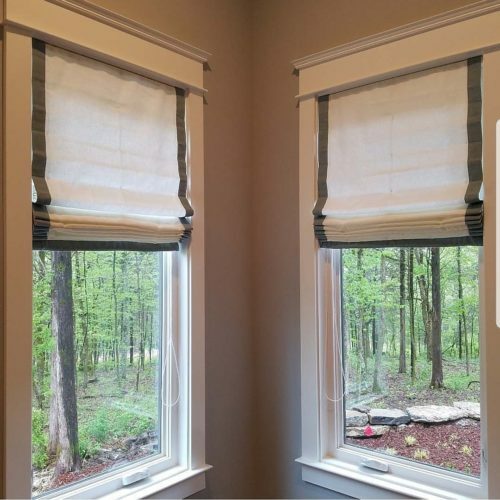 Roman Shades offer both simplicity and functionality for a well-dressed window. Roller Shades are a long time favorite, featuring clean lines and a streamlined appearance. They have come a long way from grandma’s roller shade. With energy efficiency and their view through ability, they are ideal for any setting. Add a splash of color to any room, or use as a perfect base when layering window treatments. Many fabrics are resistant to the elements and are perfect for controlling light glare and energy in outdoor rooms and screened in porches.